A thought provoking book that provides an unprecedented exploration of the beliefs, teachings and practises of a religion that encompasses a fifth of the world`s population. Iconic symbols of Islamic history including some of the worlds greatest architecture together with captivating the message of Islam combines to deliver a vibrant and intriguing journey through faith written in an informative, factual and concise manor with stunning colour imagery and exquisite photography of the natural world, it is sure to appeal to all audiences. The Islam guide is a remarkable achievement and result of over three years exhaustive research by exhibition Islam. The initial concept for this guide was to provide a highly visual and in depth study of the scientific observations of the Quran. 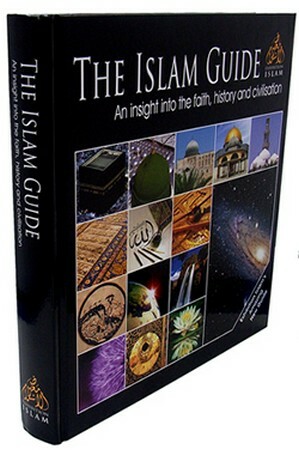 Subsequently, this was expanded to provide an overview of Islamic faith.